Mary Bellamy is an illustrator and comic-book creator known for her manga-style works like Faux Facts and Aw Heck! In the latter, a young girl finds herself mistakenly trapped in Hell — and she wrecks holy, um, heck as she fights her way back to world of the living. Facing horrible dangers along the way of course — among them, killer demon rabbits! 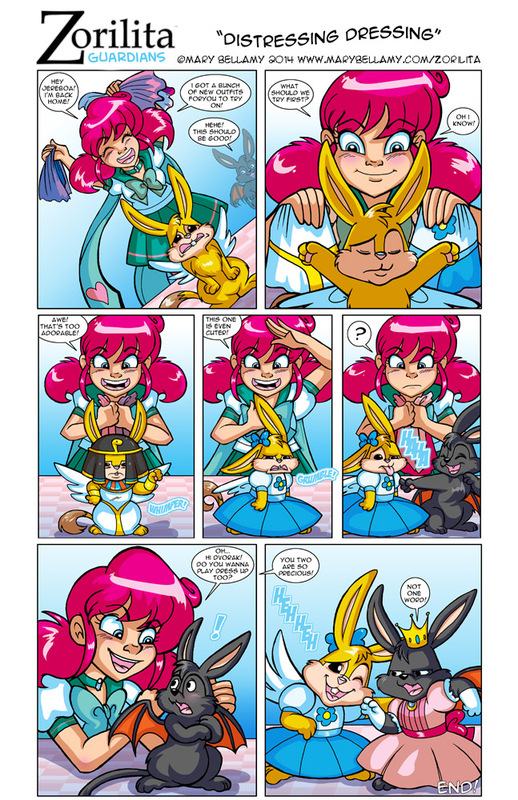 Ms. Bellamy rather likes rabbits it seems, because they play an even bigger roll in her new comic series Zorilita Guardians. In fact she even sells plushie versions of the three fuzzy guardians who protect Zorilita and her friends. Take a look at Ms. Bellamy’s web site where you can find out more about all of this.